New Mobile USA Hockey Rulebook! 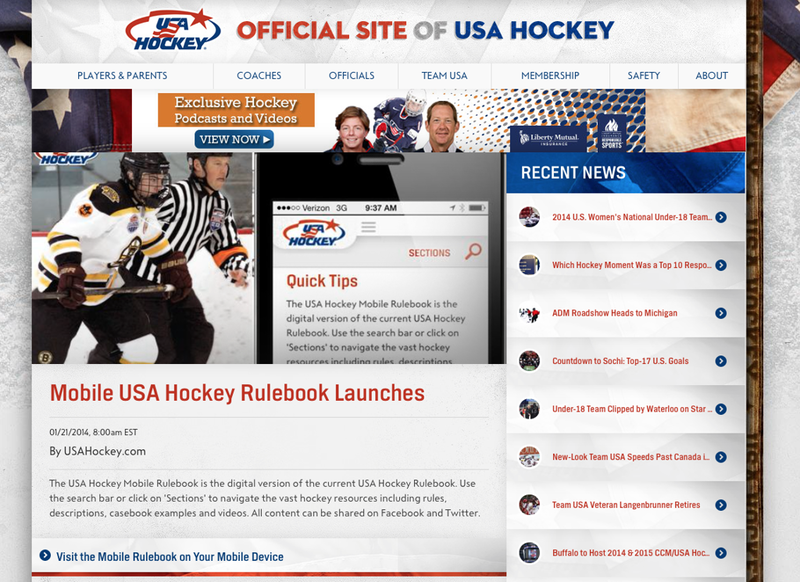 The USA Hockey Mobile Rulebook is the digital version of the current USA Hockey Rulebook. Use the search bar or click on 'Sections' to navigate the vast hockey resources. All content can be shared on Facebook and Twitter. The Official Rules of Ice Hockey is the essential resource for all hockey families.